You have probably heard or read the talking point many times: The United States consumes nearly one-quarter of the world’s oil but we have only 2-3% of the world’s proved reserves (here, here, here), hence we cannot drill our way out of high gasoline prices (here, here, here), and should instead adopt policies (cap-and-trade, biofuel quota, fuel-efficiency mandates) to accelerate America’s transition to a low-carbon future. A new report by the Institute for Energy Research (IER), North American Energy Inventory (December 2011), demolishes the gloomy assessment underpinning demands for centralized planning of America’s energy future. Proved reserve estimates actually tell us relatively little about America’s energy resources. Proved reserves refer to oil and gas deposits that have already been discovered, and which can be economically recovered today. But much larger quantities are technically recoverable, and advances in technology continually make more oil and gas economical to recover. Moreover, new deposits are continually discovered as proved reserves are exploited. 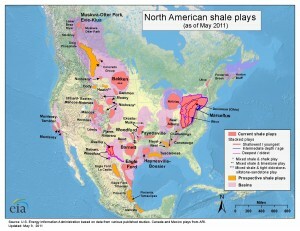 In its Annual Energy Outlook 2010 (AEO 2010), EIA predicted that by 2035, shale gas would account for 26 percent of total U.S. natural gas production. But in 2010, shale gas was already accounting for 23 percent of domestic production. In its latest Annual Energy Outlook (AEO 2011), the EIA projects that by 2035, shale gas will account for an astounding 46 percent of total U.S. natural gas production. In 2002, the United States Geological Survey (USGS) estimated the [Marcellus] area held about two trillion cubic feet of natural gas and .01 billion barrels of natural gas liquids. 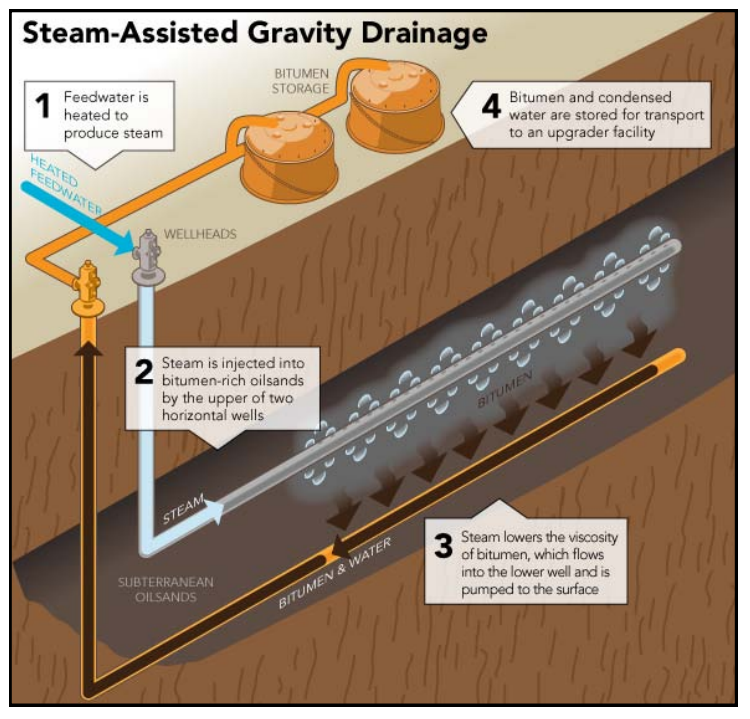 By 2011, however, the USGS estimated the area held 84 trillion cubic feet of natural gas and 3.4 billion barrels of liquids. Within a span of 9 years, technology increased estimated natural gas supplies in the Marcellus 42-fold, and liquids 340-fold. 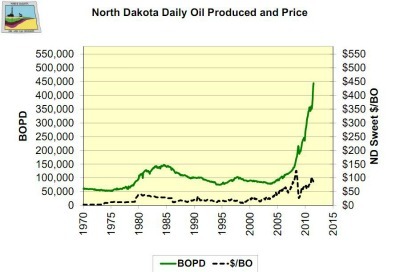 Similarly, the Bakken formation in North Dakota and Montana was estimated to have 151 million barrels of oil in 1995, but by 2008, the USGS had increased its estimate to between three and 4.3 billion barrels, 25 times the 1995 estimate. History is rampant with these types of increased estimates of resources as improved technology enables more resources to be produced. Oil sands production has allowed Canada to increase its proved reserves of oil from five billion barrels to 170 billion barrels, making its oil reserves third only to those of Saudi Arabia and Venezuela. Total Recoverable Resources: 1.79 trillion barrels. Total Recoverable Resources: 4.244 quadrillion cubic feet. Total Recoverable Resources: 497 billion short tons. The energy shortage today is the product of the Environmental lobby’s demonizing of carbon dioxide in our atmosphere with the objective of rushing into renewal energy sources at least a 100 years before any reason to do so. The false doctrine of AGW was the ruse used and scare tactics of unstoppable warming fed to the media enabled the raising of over $30 billion in research to prove the science of this unfortunate hypothesis to no avail. A worse time to predict runaway heating could not be found as we are in interglacial period #5 of the 100,000 year Pleistocene Ice Ages. To be safe from another continental glaciation we need to be warmer and ice free in our polar regions. Our sun is too weak at times and only a robust greenhouse gas will protect us from glaciation #6.